Harajuku is a famous and very popular sightseeing spot. But do you know exactly what you want to do in Harajuku? If not, you could just spend your time wandering around the area. It’s fun just to look in the many shops and see the Japanese youth showing off their unique fashion. Or you could look at the list below and pick some spots that you want to visit. Either way, I think you’ll really enjoy this weirdly fashionable area. Harajuku is an easy enough place to get to. It’s right outside Harajuku station on the JR Yamanote Line. It’s one station away from Shibuya and two from Shinjuku. There are two exits on opposite sides of the station; one is the Omotesando exit and the Takeshita exit. Which exit you want to use depends on which area you want to see. You can also use the subway. There are two lines you can use, the Tokyo Metro Chiyoda Line and the Tokyo Metro Fukutoshin Line. And the station you want to get off at is Meiji Jingumae Station. There are exits all over the Harajuku area from the subway so you can use this website to see which exit to use. When people think of Harajuku, Takeshita Street is the place they think of next. That’s how famous this street is. It’s the center of Harajuku and the center of the youth fashion culture in Japan. And it’s right across the street from the Takeshita exit of Harajuku Station. You’ll find this place packed, especially on the weekends, so try not to get lost and hold on to your kids so they don’t get lost in the crowd. There are so many shops on this street. There are shops selling “kawaii” or cute things, clothes, and food. Walking down this street eating or drinking the cute food and taking pictures to put on Instagram is one of the things the local youth enjoy. You can try the rainbow colored cotton candy, or the delicious crepes, or a colorful drink. 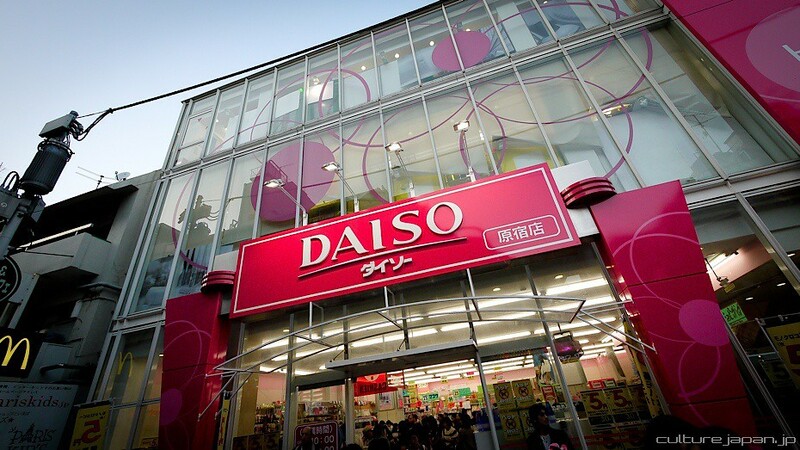 Maybe you’ve heard of Daiso, the 100 yen shop. This one on Takeshita Street is very big and connected to the Bic Camera Select, an electronics store. Here you’ll find a very wide variety of things from souvenirs to household items. And they’re all just 100 yen. That’s like 1 US dollar. If you see the things they sell in there, you will not be able to believe they’re so cheap. Even if you plan on buying one or two things, if you walk down the aisles of this store, you’ll find yourself adding this and that and ending up with a big bag full of things. And the total cost will be only a fraction of what you’d pay elsewhere for the same things. It’s simply amazing! Calbee is a famous snack food company. It’s known mainly for their potato chips. At their Calbee Plus shop, you can try freshly fried potato chips. And they’re still warm! This is an experience you can’t have anywhere else. They also have a freshly fried snack called “Poterico”. It’s derived from their other snack line called “Jagarico”.“Jagarico” is a crunchy potato snack that looks like a long macaroni without the hole in the middle. And the freshly fried “Poterico” has roughly the same shape, except a bit thicker. And instead of being crunchy, it’s softer like the inside of a baked potato. It’s a delicious snack, so if you get hungry why don’t you try it? Kiddyland is heaven for kids. It’s a store featuring many characters. They have Snoopy, Disney, Hello Kitty, Star Wars, etc. And they sell toys, notebooks, pencil cases, lunch boxes, and so much more. Even adults who like these characters will have a hard time deciding what to buy since there are so many choices. It’s a great place to buy souvenirs as well. They’re open from 11am to 9pm on weekdays and 10:30am to 9 pm on weekends and holidays. They close late at night so you can come visit the shop after you’ve finished all your sightseeing elsewhere. It’s located on the large street called Omotesando street and it’s less than a 10 minute walk from Harajuku station, Omotesando exit. The shopping complex called Laforet is another symbolic place of Harajuku. It’s filled with clothes stores for the youth. So it’s a great place to see the fashion of Japan and maybe buy something for yourself. During the New Year Holidays, it is the big sale season in Japan, and Laforet is not an exception. Hundreds of people line up to get inside, and all the stores are packed with people trying to buy clothes at the discounted prices. The building’s design is a bit odd on the inside. Instead of the floors going up from 1 to 2 to 3 and so on, it goes in halves like 1.5, 2, 2.5, etc. Weird isn’t it? It’s also a good place to take a bathroom break or use the Wifi since there aren’t that many places you can do this in Harajuku as a lot of the area is filled with small individual stores. Tokyu Plaza is another newer shopping complex across the street from Laforet. Laforet is more for the youth, while Tokyu Plaza was designed more for trendy adults. You’ll be amazed by the unique and eye catching entrance. There’s an escalator going up surrounded by walls and a ceiling of spiky mirrors. You’ll know it when you see it. There are a variety of stores and restaurants, and there’s even a rooftop garden on the 6th floor. It’s located at the large intersection on Omotesando Street, a 5 minute walk from Harajuku station. And it’s almost directly above Meiji Jingumae station, so it’s very easy to visit. This cafe is one of the places most representing the “kawaii” or cute culture of Harajuku. The inside of this cafe is an explosion of colors. There are several different seating areas, each with it’s own theme. And girls in crazy costumes and hair color, called “monster girls” will guide you to your seat. Even the food served there is rainbow colored. In the daytime, this is a cute cafe. In the night time, it changes its colors into an entertainment restaurant for adults. This cafe is extremely popular so call ahead to make reservations to ensure you get a seat. Feeling like you’re sick of the masses of people in Harajuku? Then go over to the other side of Harajuku station and visit Yoyogi Park. It’s a huge park with expansive fields. A good place for a picnic during the temperate seasons of spring and autumn. It’s also a great place for a nice stroll away from the bustle of the city. You can relax and enjoy the oasis in the middle of the city. Yoyogi Park is also about a 10 minute walk from Shibuya. So after your soothing walk in the park, you can go sightseeing or shopping in Shibuya if you like. Meiji Jingu Shrine is the other oasis in Harajuku. The entrance of the shrine is a 1 minute walk from the Omotesando exit of Harajuku station. The shrine is ensconced in the middle of a forest, so after you enter the forest, it becomes so quiet and serene you forget that you’re only minutes away from the crowded and busy Harajuku area. The shrine was first completed in 1920 and dedicated to spirits of the Meiji Emperor and his wife. The Meiji Emperor was the first emperor of the modern age in Japan. Meiji Jingu Shrine is now one of the most popular shrines in Japan and thousands of people come to pray for good fortune during the first days of the New Year. It’s also a popular place to hold a traditional Japanese style wedding. If you visit on the weekend, maybe you’ll be lucky and see a couple dressed in traditional kimonos getting married. As long as you are well mannered and don’t get in the way and the couple doesn’t mind, you’re free to take pictures of this very beautiful traditional Japanese scene. Did you find any spots you'd like to visit? There are many other stores in the Harajuku area so even if you didn't find anything in the above, you'll probably find somewhere you like while wandering around. And there are many cafes and restaurants in the area, so why not time your visit to coincide with lunch or dinner so you can enjoy some of the local food. Harajuku and the adjacent Omotesando area are areas where brands put their flag shops and new trends are born, not only in fashion but also in food. Take a few hours to stroll around and do some shopping!